In a presentation to analysts earlier this week at London Metal Week, Australian- and South African-listed South32 said South African production had been about 11mt in the year to date compared to production of about 10mt at the same time in the calendar years of 2015 and 2014. 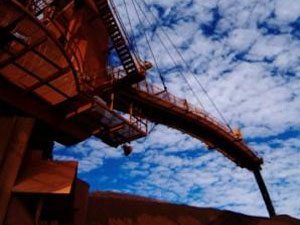 “Australian high grade supply cuts [would be] offset in part by [an] increase in mid-grade South African supply,” the group said in its presentation. Australia has cut manganese ore output from about 8mt to just under 6mt in the same time. South32 told customers that November sales prices for manganese ore will be the highest since mid-2010. Ore mined at its GEMCO site in Australia, containing 46% manganese had increased nearly $3/dmtu to $8,15/dmtu while its 48% manganese fines product increased $2,54/dmtu to $7,34/dmtu. “These gains were to be expected following a massive increase in published spot quotations over the past month, with the 44% MB [Metal Bulletin] spot index up $2.70/dmtu to $7.90/dmtu,” said Macquarie bank in a note earlier this week. “We maintain, however, that these gains won’t last, as sequentially weaker demand combined with production restarts leads to price normalisation into year-end,” it added. Graham Kerr, CEO of South32, has been critical of the lack of supply discipline from South Africa’s manganese sector in the past. The company cut manganese production in 2015 affecting hundreds of jobs, but elected to restart its Hotazel manganese operations in South Africa’s Northern Cape province. Mining was restarted at both operations in the March 2016 quarter, ramping-up to an optimised 2.9mt a year on a 100% basis production rate.